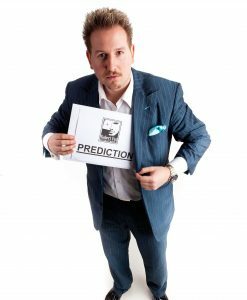 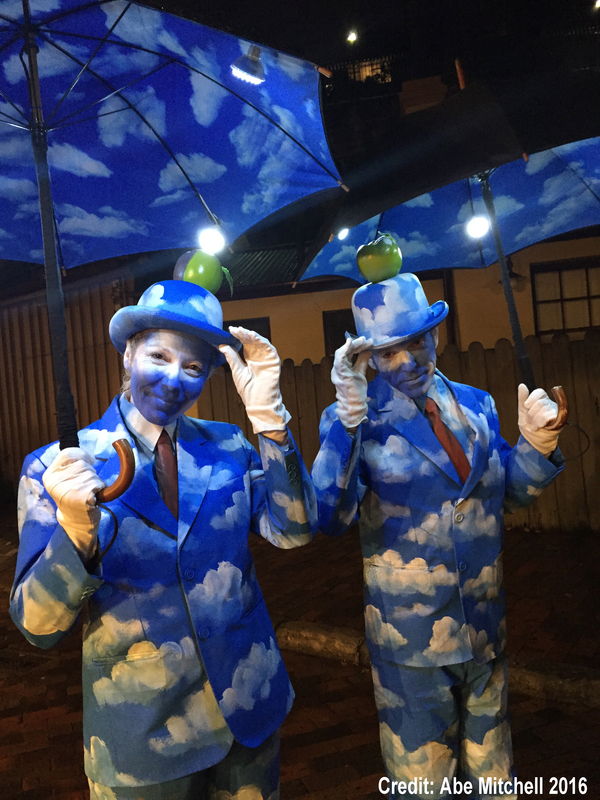 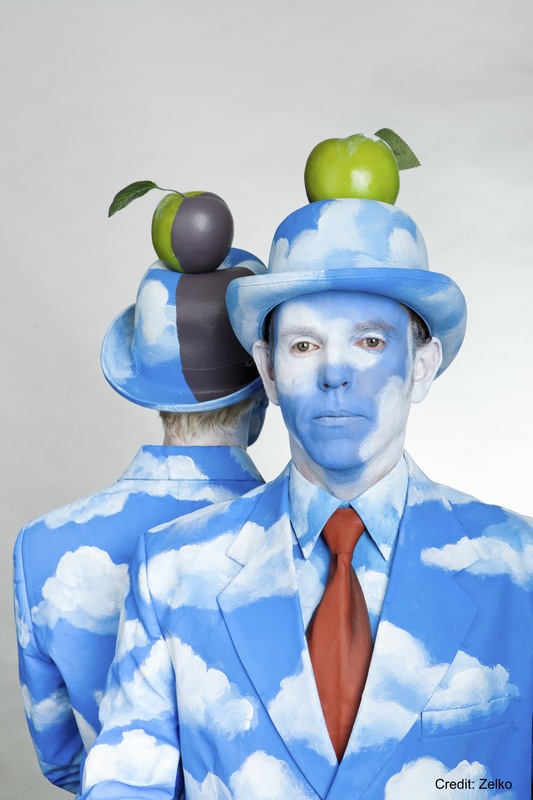 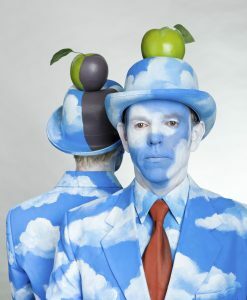 Meet the serene and sublime Cloud Men, inspired by the popular Belgian Surrealist artist, Rene Magritte, they incorporate the artist’s signature elements – the Businessman, the Umbrella, the Apple and the magnificent blue sky and perfect clouds. 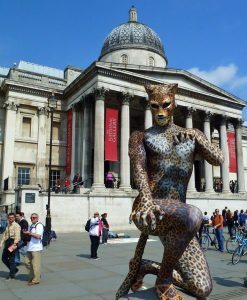 They are works/walks of art by themselves. 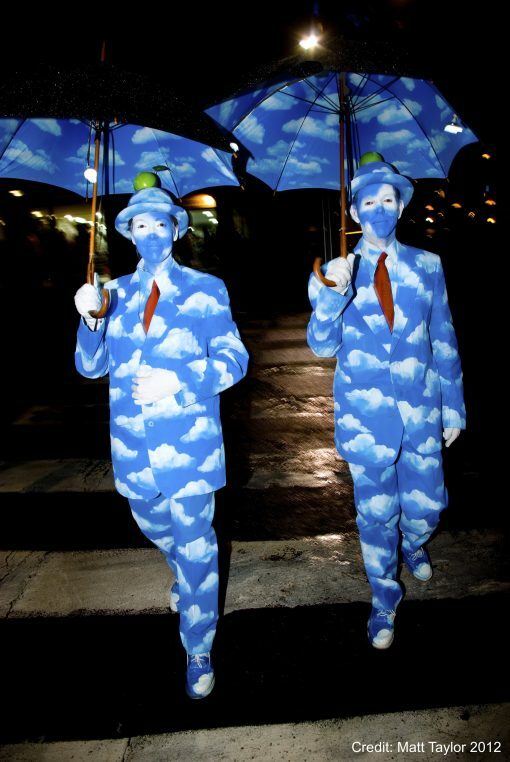 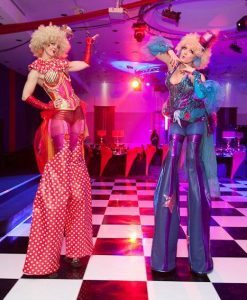 A vibrant eye-feast, slowly, peacefully promenading your event, doffing their hats in pleasant greeting. These mild mannered gentlemen are show-stoppers for photographs. 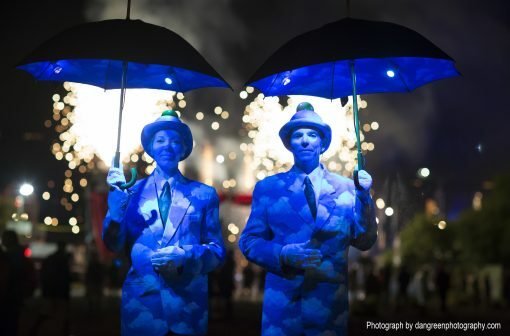 At night the lights inside the umbrella illuminate the costume in an exquisite surreal manner.